JULY 2010 – Todd English is a four-time James Beard Award winner, a recipient of Bon Appetit’s “Restaurateur of the Year,” and one of People Magazine’s 50 Most Beautiful People. He has published three critically acclaimed cookbooks, created the record-breaking houseware line, The Todd English Collection, and hosts the Emmy-nominated PBS travel series Food Trip with Todd English. 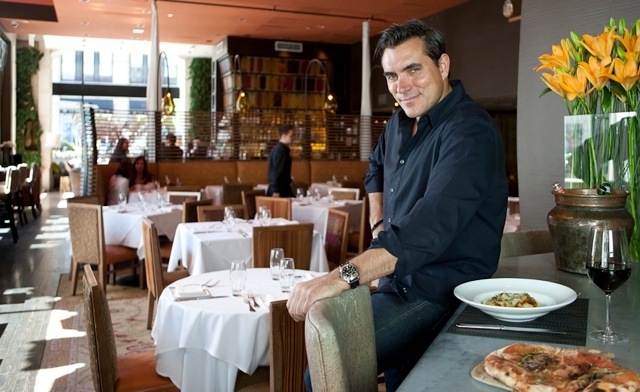 Todd English Enterprises includes twenty three innovative restaurants spanning the country. English’s flagship Olives restaurant located in Charlestown, MA has expanded to locations in New York and Las Vegas. English is also very involved with several local and national charities including Citymeals-on-Wheels, Big Brother, the Anthony Spinazzola Foundation, Community Servings, Share Our Strength, the Boys and Girls Clubs, Volunteers of America, City Harvest, Keep Memory Alive, and Smiley Faces. English’s recent restaurant openings include the Todd English P.U.B. at Las Vegas’ CityCenter which opened in February 2010, and his newest restaurant located at the famed New York Plaza Hotel, The Plaza Food Hall by Todd English opened its doors this past June. This summer also brings the opening of his French-inspired Brasserie Ça Va, located at the new Intercontinental Hotel Times Square. Where in Italy do your roots hail from? My Italian roots come from my grandparents on my mother’s side- the Arcuni’s, and they’re from a small town in Southern Italy in Calabria called Oppido. What is your favorite Italian restaurant in the world? Dal Pescatore where I apprenticed after culinary school. It’s in a small village called Canneto sull’Oglio in Lombardi Italy. That’s where I learned everything there was to know about dough- well, almost! My mother would have to take credit for teaching me to cook- although I did go to school to get formal training from the CIA, and honed my skills in Italy with the “Nonas” and in the restaurant Dal Pescatore. What is the last thing you cooked for yourself? Spaghetti aglio e olio (oil and garlic). It’s a classic I never get tired of! I love Giuliano Bugialli’s cookbooks, particularly “Bugialli on Pasta.” It’s a wonderful book showcasing the true art of pasta making- the detail and authenticity is inspiring for all us chefs. If you were living in Italy would you prefer to make wine or cheese? Wine! I’ve always wanted to have my own vineyard somewhere in the hills of Tuscany. Who is your favorite Italian singer of all time? There’s never been anyone like Pavarotti. I was lucky enough to meet him once in Modena, Italy. Who do you find to be the most beautiful Italian actress of all time? Sophia Loren-she is a legend and still gorgeous at any age! 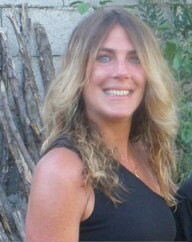 If there is one place in Italy you would retire where would that be? Definitely Tuscany. I’d build a house and vineyard on top of one of the rolling hills so I could look out over the countryside. A view in addition to the amazing local ingredients-you just can’t beat that! If you were not a chef and restaurant owner what would you be dong? I would be a rockstar. I love music and playing the guitar.